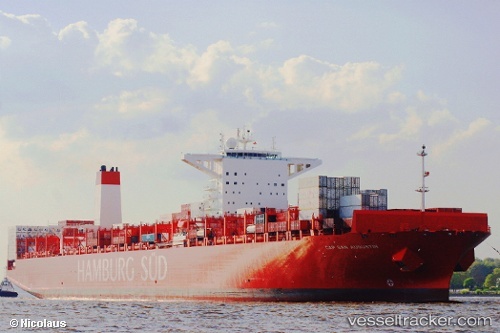 The 132 meter long container ship Rita allided with the 333 meter long container ship Cap San Augustin in Hamburg, Germany. 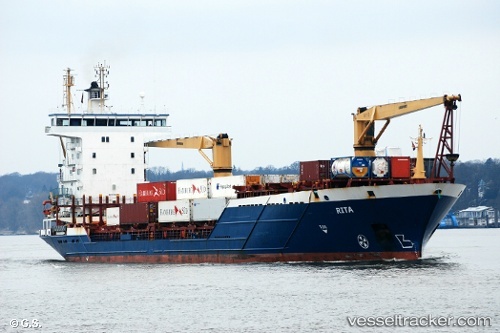 The Rita was being shifted from the terminal to the quay when it struck the Cap san Augustin. The Rita sustained a dent along the starboard side of its wheelhouse with the Cap San Augustin only with slight scratches. Both vessels were detained by the water police until an investigation could be completed. No reports of injuries or pollution released.